Call 1 844 821-0075 toll-free to reserve rental equipment today! Having the right equipment to take care of high-weight-capacity needs is essential to avoiding accidents and injuries when helping larger patients, neglecting to equip yourself could cause serious injury to yourself or those around you. Our bariatric rental products are designed to last and to withstand wear and tear. Our bariatric rental products are manufactured from sturdy materials with reinforced frames; these are high capacity products for larger patients. Why Rent Home Medical Equipment From HME? HME Mobility & Accessibility offers the largest medical equipment rental program in BC. With thousands of products in our inventory, we have a full line of equipment for short or long term rental requirements. 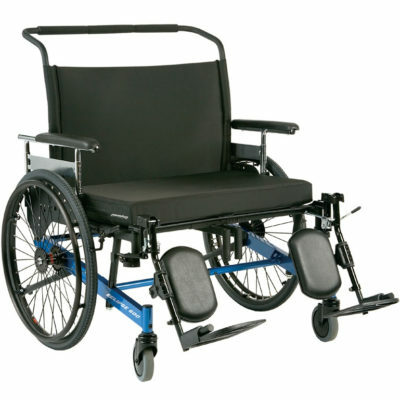 We offer wheelchair, hospital bed, and patient lift rentals, in addition to bathroom safety products, walking aids such as crutch and walker rentals, and all the accessories needed for short term and long term needs. HME Mobility & Accessibilty has offered unparalleled rental services for over 18 years, improving the lives of thousands of clients with convenient access to the equipment they need. Our mobility consultants are here to assess and attend to your every need. HME offers competitive weekly and monthly rental rates and our team of technicians provide delivery, maintenance, installation and removal of all rental items. This provides you with you convenient access and use of equipment from the comfort of your home, or current accommodation. HME also guarantees our rental equipment, and will maintain the equipment throughout the rental period as needed. We regularly update our rental pool and our team of certified technicians ensures the equipment is in top working condition. New items are frequently added, and our team is always on the lookout for new equipment for our rental pool. HME Mobility & Accessibility guarantees our rental equipment over the life of the rental, and our qualified technicians are available to deliver, install, and remove the equipment, as well as provide maintenance as needed. Customers must abide by the HME Rental Policy terms, ask customer service for a copy. For rentals, 48 hours notice for cancellations must be provided to be refundable. For rentals cancelled without 48 hours notice, it is non-refundable. In order to reserve equipment, rentals must be prepaid up front. For equipment returns, equipment returns must be scheduled by the client 48 hours prior to pick up date or fees may apply. All rentals are bound by HME delivery and installation terms. HME delivery rates include to-your-door service by a Technical Services Representative. HME Vancouver is proud to offer mobility product deliver to the zones above in the Greater Vancouver Regional District. If you live outside our service area and would like to inquire about your options please give us a call and we will try to accommodate your situation. If you have placed an order but have special circumstances surrounding your delivery, please let us know before your expected delivery date so we can make arrangements for a smooth and safe mobility product delivery. We also ship smaller items (approx. less than 5lbs) by mail or by courier for $35. The shipping rates for heavier items will be determined on case by case basis. HME Victoria is proud to offer safe mobility product delivery to the following zones. At this time delivery on Vancouver Island is only available up to Nanaimo as the map indicates. If you have special circumstances surrounding your delivery please let us know before your expected delivery date so we can deliver your new mobility products to you safely and smoothly. Not sure if you want to purchase the items? Take advantage of the HME Rent-to-Own Program! Under this program, 100% of the first month’s rent goes towards buying the equipment, and 50% of subsequent months goes toward the purchase. Delivery and installation fees are not credited. If interested in this program, please inquire with HME staff. The purchase price of the rental equipment will be provided by HME staff. For all buy-out equipment, the warranty is 3 months on parts from the date of buy-out. Labour is not included. Not Sure Which Rental Products You Need? Contact Us for a Free In-Home Assessment!